I’ll admit it, I belong to the generation that thought year 2000 had to be the dawn of a space age. July 20th 2009 marks the 40th anniversary for the Apollo 11 mission, the first man on the moon and so on. Besides our dream, such an event has sparkled media almost 360 degress around. Will take audiences to the surface of the Moon to walk alongside the extraordinary Apollo astronauts who have stepped upon its surface. With never before seen photographs, CGI renditions of the lunar landscape and previously unreleased NASA footage, audiences will be immersed in the life-changing experiences of these astronauts by showcasing what they saw, heard, felt, thought and did while on the lunar surface. In the Shadow of the Moon follows the manned missions to the Moon made by the United States in the late 1960s and early 1970s. The documentary reviews both the footage and media available to the public at the time of the missions, as well as NASA films and materials which had not been opened in over 30 years. All of this has been remastered in HD. Augmenting the archival audio and video are contemporary interviews with some surviving Apollo era astronauts, including Al Bean, Michael Collins, Buzz Aldrin, Charlie Duke, Eugene Cernan and Harrison Schmitt. Originally broadcast in April and May of 1998, the epic miniseries From the Earth to the Moon was HBO’s most expensive production to date, with a budget of $68 million. Hosted by executive producer Tom Hanks, the miniseries tackles the daunting challenge of chronicling the entire history of NASA’s Apollo space program from 1961 to 1972. For the most part, it’s a rousing success. Some passages are flatly chronological, awkwardly wedging an abundance of factual detail into a routine dramatic structure. But each episode is devoted to a crucial aspect of the Apollo program. The cumulative effect is a deep and thorough appreciation of NASA’s monumental achievement. With the help of a superlative cast, consistent writing, and a stable of talented directors, Hanks has shared his infectious enthusiasm for space exploration and the inspiring power of conquering the final frontier. Tell me you’re too grown up and you don’t like pop-up books, do you? his is a handsome, carefully engineered compendium. 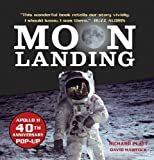 The text begins with the so-called space race between the United States and the Soviet Union in the l950s and ’60s and then offers brief descriptions of the 17 flights that made up the Apollo program. Here the emphasis is on the famous landing of the Eagle on the Moon in July 1969. The pop-ups and foldout pages on sturdy, shiny paper demonstrate the mechanical aspects of the spacecraft and offer a bold sense of both the rocketry and the trip. Small photographs and drawings surround the larger views. On a few pages a small booklet of information is tucked into a slotted page. With just one pop-up per spread accompanied by other engineered elements, the pages pack considerable information about the Moon and the human experience in traveling to it in both the visual material and the text. While this book dwells more on computers than astronauts, it contains details from the actual moon landings that I’ve never seen published elsewhere. In Digital Apollo: Human and Machine in Spaceflight , engineer-historian David Mindell takes this famous moment as a starting point for an exploration of the relationship between humans and computers in the Apollo program. In each of the six Apollo landings, the astronaut in command seized control from the computer and landed with his hand on the stick. Mindell recounts the story of astronauts’ desire to control their spacecraft in parallel with the history of the Apollo Guidance Computer. From the early days of aviation through the birth of spaceflight, test pilots and astronauts sought to be more than “spam in a can” despite the automatic controls, digital computers, and software developed by engineers. Digital Apollo examines the design and execution of each of the six Apollo moon landings, drawing on transcripts and data telemetry from the flights, astronaut interviews, and NASA’s extensive archives. Ok, it’s got nothing to do with space but it’s soooo 70’s! 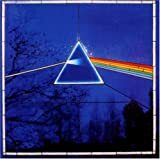 Dark Side of the Moon, originally released in 1973, is one of those albums that is discovered anew by each generation of rock listeners. This complex, often psychedelic music works very well because Pink Floyd doesn’t rush anything; the songs are mainly slow to mid-tempo, with attention paid throughout to musical texture and mood. This new remaster of Dark Side of the Moon is a wonderful sonic treat. The subtle sound effects and rich tapestry of sound is now surrounding you in DSD 5.1 glory (if you have an SACD player) and the clarity is outstanding. BATTLESTAR GALACTICA is a great series. It belongs on the shelf of any DVD collector. It’s more of a war drama than a science fiction, allowing for both genres to explore new depths. Fans who love TV series with continuity and evolving characters & plot will get into this. Start your DVD engines and choose the new Amazon.com Exclusive: Battlestar Galactica Franchise Collection (Season One | Season 2.0 | Season 2.5 | Season 3.0 | BSG Razor) or go nostalgic with Battlestar Galactica - The Complete Epic Series from year 1978 (Earth time) or go crazy with Battlestar Galactica - The Complete Epic Series (Limited Edition Cylon Head Packaging) . Watch out, in outer space Cylons can hear you!